Since the UNFCU card is free, carry it as a backup can't hurt, now can't it? Any chip and signature card will work almost all the time so try the one you want first with the most appropriate rewards program for your needs and if it is refused, fall back, grit your teeth and take the obnoxious 1% hit for the UNFCU card. Of course, bear in mind, you won't get your rewards if those are important for you but then again remember Arrivals+ has an even more obnoxious annual fee (although it is waived for the first year and everybody here is conniving to cancel when the first year is up, wait a little while and re-applying. Except Visa doesn't appear to be enforcing no CVM acceptance nor do kiosk operators in Europe and elsewhere seem to care. So no, signature only cards (which seem to be the majority) will not work almost all the time, at least not without unsupported workarounds like using the cash advance PIN. 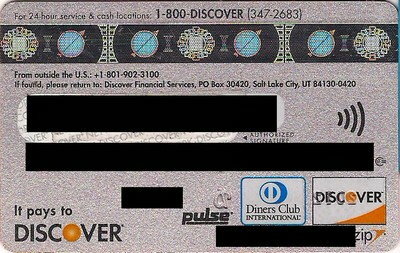 That said, I'm not convinced that there's much value in UNFCU other than at those extremely rare places that will void your signature transaction. And frankly, those places don't deserve any money from tourists anyway. Something else that hasn't been definitively answered is why Americans seem to have so much trouble with chip and signature overseas while there are other countries that use it with no issues, presumably including when visiting Europe. My theory is that other chip and signature countries almost universally have PIN as a backup while most American cards don't have it at all. There could be some other reason though. Well some companies clearly do not allow foreign cards. For instance, if you ever get a SIM card for your phone in Europe, you can't use your US card to top off. I guess mobile payments won't change that either. 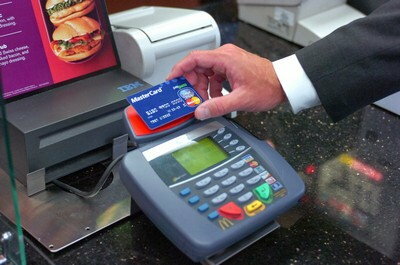 Different laws on credit cards results in different products being offered. For instance, EU limits fees that credit card companies can charge merchants so EU-issued credit cards don't have as many rewards. I was able to top up a Vodafone Ireland SIM card online with my CapOne Quicksilver card. This was around December or January. 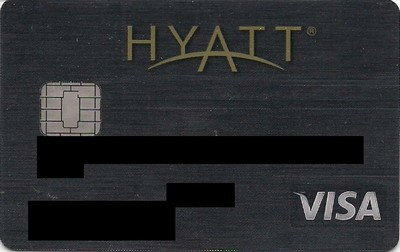 I think the reason is that Americans are obsessed with credit cards - this very thread is proof of it. As a European living in the US I find it hilarious that people are so concerned about a couple of kiosks not accepting their credit cards. Most Europeans couldn't care less - they would just use cash if their credit card fails. I think it is just different culture. Not sure I agree with your last paragraph. I suppose you're basing that statement on what we read here. The majority, not all of course, people who post here are from the United States. But one suspects, at least I do, that if a merchant doesn't want to accept chip and signature cards, that would be pretty much universal. Keep in mind you can use the points you earn from the UNFCU as statement credit. This method nets what is effectively .95% cashback so it almost negates the FTF. Isn't the minimum redemption rather steep? Those rare merchants will void C&S cards regardless of country, yes. However, C&S cards from other countries are more likely to have a PIN backup for kiosks so they might not have as many problems there as Americans. A lot of younger people only use debit cards (because they can't qualify for credit cards or never felt like they needed them). 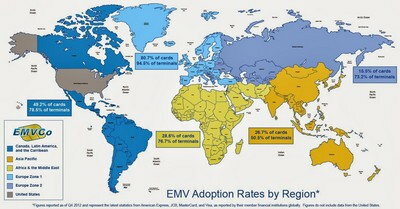 If US chipped debit cards didn't mostly behave like chip and signature cards overseas as well it probably would help. 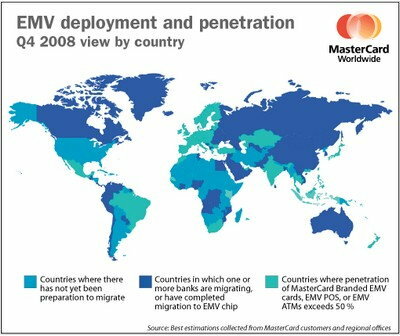 I don't know if debit cards from other C&S countries are always chip and PIN or not though. Yup, looks like it's ~10000 point min to use as statement credit. I'm just pointing it out because people moaned about the FTF. I haven't explored the other redemption options, so I don't know what would give you the optimal value for points. Regarding UNFCU's 1% FTF--I have been lobbying UNFCU to remove this as it is asinine. I have emailed the Board of Directors and various other people in the organisation and found out that they are looking into removing it, and I believe that they will, but I was told that since it means they will now have to cover the 1% fee for VISA instead of the members, it requires preparation as it represents another cost to the credit union. I was told to expect a solution in the last 6 months of this year--so sometime from June onwards they will probably remove the 1% fee as they said they know it is an annoyance to a lot of their members. If anyone wants to help the cause they are welcome to email the Board of Directors. I don't think so, here in the US credit cards matter a LOT to me. I'm moving to England soon, and aside from getting basic banking needs sorted, I couldn't care nearly as much there. Why? They don't give me an INCENTIVE to care, unlike banks in the US. Credit card usage adds a couple of thousand tax free income to me. I am thus keen not to use cash or check where ever I can and instead use my highest cash back card. In highly regulated Euro zone, due to limits what credit card companies can charge, there is not much benefit to using a card. Card usage also reduces black money and thus tax collections do not go down like Greece, Italy etc. In fact, in Europe they give you incentive NOT to use credit cards. When I still had one, my European Mastercard had a €50 annual fee, zero rewards or benefits and no zero liability policy for fraud. I used my debit card (with PIN) everywhere and cash for smaller purchases. The only reason I even had a credit card was because Maestro debit cards are not widely accepted for purchases outside of select few European countries. Nowadays Maestro is getting phased out and many banks are switching to Visa debit cards, which can be used for online purchases or abroad. Now that I am in the US, I obviously take advantage of all the rewards on credit cards. Still, I don't see why people get so upset when their credit card isn't accepted somewhere. Sure, it is a tiny inconvenience, but not the end of the world. I do find the signature requirement for chip and signature cards bizarre, because the signature adds absolutely no value (i.e. no security). 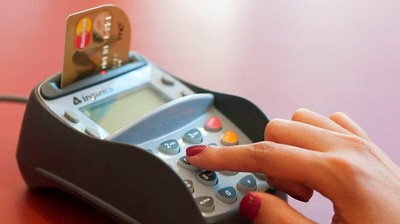 Life without credit cards? Please. I couldn't exist without them. It's not that long ago that many supermarkets would not take cards and I remember what a pain in the potuna it was to have to hit the ATM for cash and go into a supermarket. Now it's th4 norm in the USA that most everybody takes cards for most everything. We also had wonderful regulations that prohibited merchants from imposing minimum transaction rules (I've gone in and charged 83¢ for something) and prohibiting credit card surcharges which the moronic Durbin amendment outlawed (the regs prohibiting these anti consumer things I mean). When travelling, who wants to bother with the hassle of dealing with foreign currencies. I've told this forum before, it is not unheard of me to spend a week in London, pull out £10 from an ATM (I have an enlightened bank which charges the correct fee for accessing my money i.e. $0 like in nothing so it's no problem pulling £10 out of an ATM and return home with that £10 bank note still stuffed in my wallet. Breakfast, sir? A stop at Tesco for some orange juice for 55p, a bottle of water for the day. Then to Mickey D. A bacon, cheese bagel and coffee with the orange juice (wouldn't pay Mickey D prices for oj)...a mid morning stop to pick up a bottle of diet coke cherry at Boots or Tesco or Sainsbury. Lunch? Marks and Spencer sandwich stop is fine or perhaps a pub lunch with a pint. Afternoon matinee at the theatre. Can you imagine, they want £3 for a small cup of ice cream at half time oops the interval. Me? Before the show a stop at some convenience shop for some nosh at half time. Dinner? Lots and lots of moderately priced restaurants all taking cards. On the way back to the hotel some nosh at a convenience store. Day after day, the same routine with whatever activities I want. Refill my oyster card. The machines work fine and take cards. Top up my British PAYG sim card? Convenience stores all glad to help out and will take my card. I just can't imagine living in medieval times like 1971 when I got out of college and began travelling and going down to the Amex office on the Haymarket to cash travelers cheques. Remember Karl Malden (don't leave home without them referring to Amex TC's (of course not mentioning the 1% fee and the awful exchange rates. Do you believe there are still people out there who think they should bring TC's. But of course, you needed at least 1 to pick up your mail at the Amex office. Now...we have e mail, mobile phones (I remember the fear and trepidation my parents had, may they rest in peace, the first time I called them in Florida from Great Britain using my Orange UK sim card for 3p/minute). Making theatre or hotel reservations from home? Can you imagine life without being able to leave your cc number to ensure the reservation. (Of course, booking.com was a prime place where I am pretty sure my Amex account info was stolen last year inconveniencing me to change all the monthly payments but after that was done, life went on as before). Now I do understand, of course, this is particular pretty much to London. Paris is a slightly different story especially in terms of small purchases (impossible is a French word I quickly learned). And Holland and Germany? Cash is king in those places. Using a credit card for a €3 purchase at McDonald's in either Holland or Germany? You have to be kidding. Day to day living expenses at home? Well after the Chinese take out place down the street opened up a Square account, I frankly can't remember the last time I spent cash for anything. Parking meters in NYC? Charge them to my credit card. Metrocard refills? The same. Dry cleaners? The same. Yes. Life sure was different before we entered the 21st century. That's for sure. Well in AMS last year, it was a huge hassle that the kiosks for the train tickets to Centraal wouldn't take my credit cards. Only cash I had were notes so I had to drag my luggage into one of the stores to buy a candy bar to get change to use on the machine. But then I was able to use my card at Centraal from kiosks which looked the same to buy transport passes. And as I noted, the DB kiosks at MUC accepted my Chase Sapphire Preferred card but the ones at Hauptbahnhof would not for the return trip to the airport. At least some kind of consistency would be welcome. And a Visa card, regardless of where it was issued, should either work or not work on all machines. But there must be some flag indicating the country in which it was issued. Both my Wells Fargo and my BofA debit cards are chipped, and they behave exactly like a European Chip & PIN card when the card is being ran as debit, and the terminal is EMV enabled. But if you run it as credit it behaves like a regular C&S card. Now traveling with these cards, I'm wondering if the debit online PIN will be accepted at machines that ask for a PIN abroad. 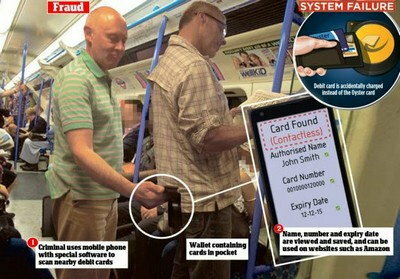 I know in most cases, the card will behave like a C&S card abroad.